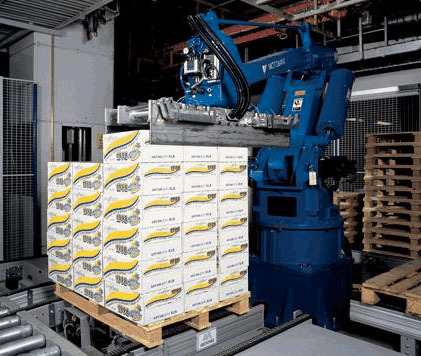 We have considerable experience in robot palletisation systems, offering UK businesses effective and efficient solutions to material handing. Over the past 10 years we have worked with leading names including Motorman, Yaskawa and Kawasaki, providing robot paletising solutions which enabled these companies to benefit from significant saving. 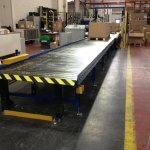 All our systems are tailor made to their specific application allowing the manufacturer to set out goals they would like to achieve from the system. 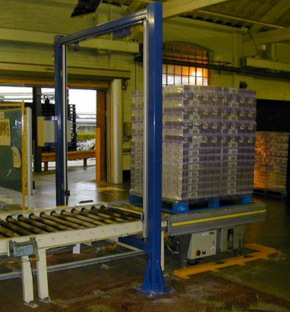 Our robot palletisation systems can be built into an exisiting material handing system or a further bespoke conveyor system can be created to allow for further transportation of the palletised products. 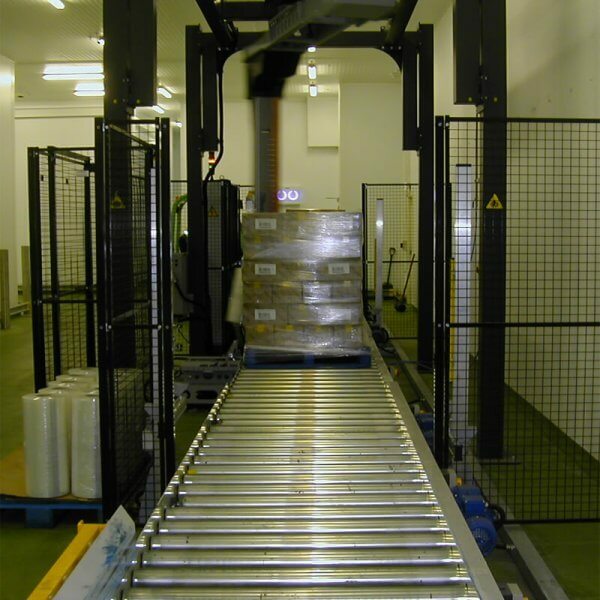 Our palletisation system can efficiently reduce packing and processing time, automating the process which can run 24/7 within little supervision. Not only does this reduce labour costs by automating the process but with workplace injuries currently in excess of 5000 recorded injuries per year, it can have a significant impact on the health and safety of a business, reducing the need for manual lifting and forklift trucks. Whatever your requirement are, we are able to identify and supply the correct solutions for you. Give us a call today to discuss how we can reduce your manufacturing costs and improve your productivity.